Matt was very thorough in the repairs. I am quite thankful . And , yes, I will refer others to Mr. Handyman. Prompt, knowledgeable and experienced, had proper tools for the job and completed it efficiently! We so appreciate the professionalism of Rick Hutchinson. He is a terrific problem solver and has helped us considerably on several occasions. technician was on time and professional. Overall the experience was great. Your technician was a true professional. A little pricey but you get what you pay for. 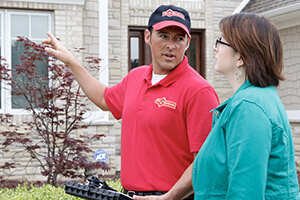 Mr. Handyman has friendly, efficient and capable help at a reasonable price.